Price Cut on PLAYMOBIL Rescue Ladder Unit! Let your kids use their imagination with this PLAYMOBIL Rescue Ladder Unit that’s on a nice price cut right now! 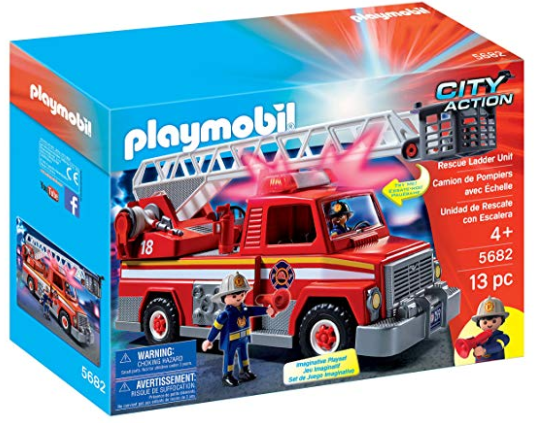 Playmobil figures bend, stand, and turn their heads so your kids can have more realistic play, and the firetruck even has real working lights and sounds. This is one of those toys that will get played with for months to come! Previous article: Black Friday Deals LIVE NOW at The Children’s Place! 50-75% off Entire Site + FREE SHIPPING!